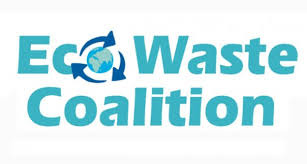 Environmental group EcoWaste Coalition urged political aspirants to avoid the use of plastic vinyl tarpaulins ahead of the start of the official campaign period for senatorial aspirants and party-list groups on February 12. The Quezon City-based toxic waste watchdog pointed out that plastic tarpaulins may contain cadmium , a heavy metal with high toxicity that is used as a plastic colorant and/or stabilizer. Cadmium is listed by the World Health Organization (WHO) among the “ten chemicals of major public health concern along with arsenic, asbestos, dioxins, lead, mercury and other highly hazardous substances’’. “The mass production of tarpaulin banners and posters for the midterm election campaign will surely add to the plastic pollution that our country is wrestling with. It’s not a simple solid waste issue as these popular campaign materials are laden with toxic chemicals such as cadmium that may negatively impact on our people’s health and the environment,” said Thony Dizon, Chemical Safety Campaigner, EcoWaste Coalition.